The M-3G is a top rank compass with a large liquid filled capsule. The compass features a serrated bezel ring, which is easy to turn even in cold weather when wearing gloves. The M-3 has an adjustable declination correction scale. 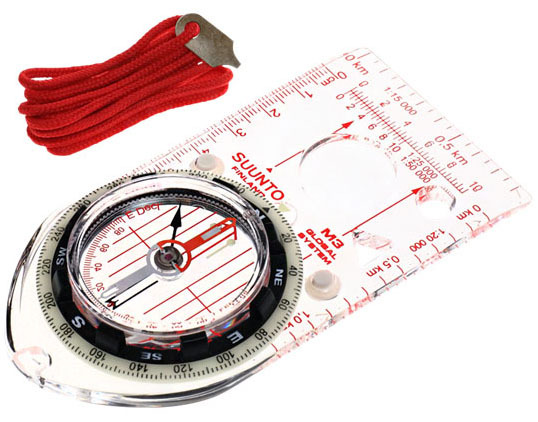 This has a luminous bezel, clinometer and a GLOBAL needle - one compass for all magnetic zones.